Here it is the Jar that saved me from insanity. ~ by whyisnotananswer on May 21, 2008.
are you the man from down under? direction…you say, why is not an answer, so ask questions, why whatever and then answer it? 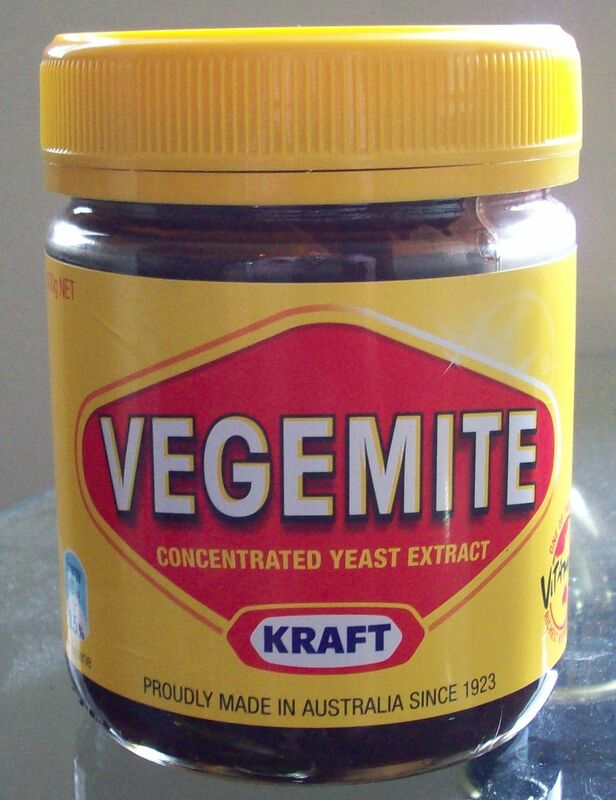 While you can get Vegemite from some supermarkets here in Scotland, it’s in the small jars that only last a week or so (and cost a bomb). So I love it when family in Oz send me a carefully wrapped monster jar of Vegemite in the post. Even more so, when there are a couple of Violet Crumbles to go with it.